It’s pretty cool, that you can design your own shoes for $105 (incl. s/h). I designed/ordered these ones last night. These will be great for band trips, with our Royal Stewart tartan! Last edited by JDC222 on Fri Sep 14, 2018 10:00 am, edited 1 time in total. My 8 year old only wears Vans. I’ll have to let him design a pair if his size is available. Sweet! I'd rock those. Been wearing Vans for many years. CGSshorty wrote: My 8 year old only wears Vans. I’ll have to let him design a pair if his size is available. I think they have all sizes and styles available. Just ordered this one too, the MG Pro Model! Last edited by JDC222 on Sat Sep 15, 2018 10:07 am, edited 1 time in total. he would but these are actually more of a light tan than white. they go great with my navy/blue checks. I have watched that movie 300 times. My vans are called off white, hopefully they won't get as hammered as regular white. I do know Vans started a new mis-match sole on some of their shoes. I really do not like it. I love off white. I've had many pairs of the old school Chucks in off white and it does wear better. I now have a regular pair with the black stripes instead of the original red/blue stripe. I don't really care for bright colors or black when it comes to shoes and I feel like the off white is clean while being less stain prone. 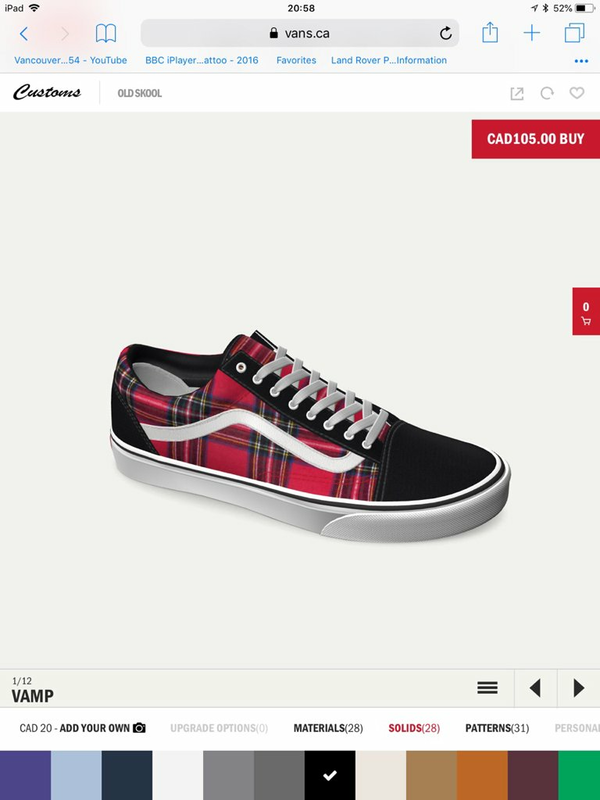 I really need to try Vans. I've actually never had a pair, but have been thinking about it.